our dedicated employees help and support our customers. Simply put, they choose us because we deliver results, in quality and quantity. 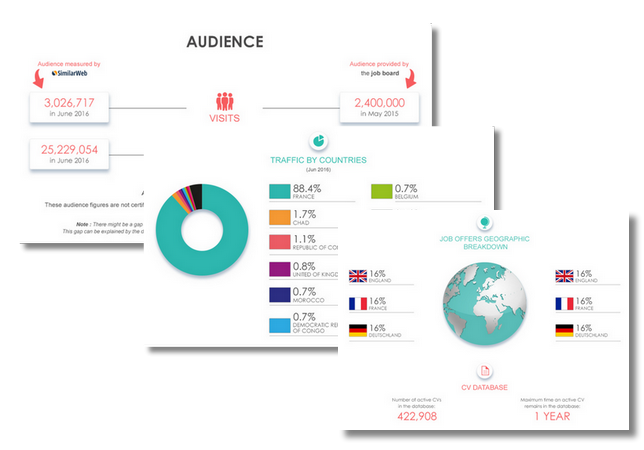 StepStone wants to be the job market of choice for high educated job seekers. We enable customers to find the best match fitting their recruitment needs. 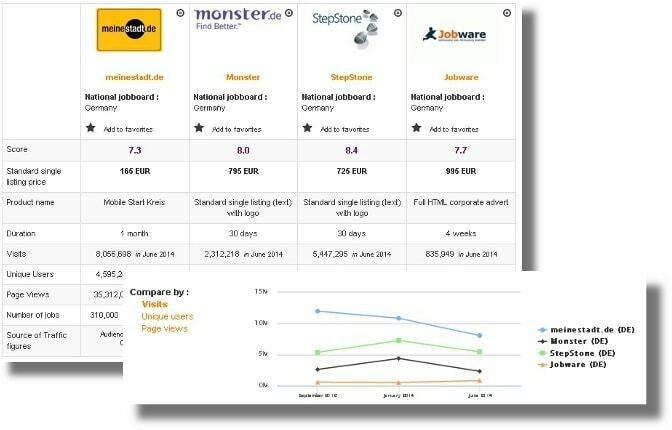 Stepstone.nl is one of the best job board in Netherland. It benefits from the reputation of its big brother Stepstone Germany. However we notice that its audience has dropped in April 2015 according to SimilarWeb. The website is the same as the other Stepstones, it is clear and easy to use. Employers are not only recruitment agencies but also small, medium and large companies. The goal of StepStone marketing campaigns is to drive qualitative candidates with profiles matching our customers’ job offers. StepStone works together with job aggregators like Indeed, Careerjet, Jobrapido and many more. Besides that we have partnerships with general jobsites like Vindazo and Jobbsquare. We cover with our partnerships also specific audiences by working together with more niche websites such as IDG, TechniekWerkt and Personeelsnet. StepStone is co-founder and partner of The Network, a worldwide network of market leading jobsites, which is the ideal solution for companies with international recruitment needs.